Pinot Gris is a name of yacht Bavaria Cruiser 46 ,which was produced in 2018. You can rent this yacht from base Corfu just a few kilometers from Ionian Sea. Pinot Gris is furnished with 4 berths. Sleeping places on the yacht are arranged in 4 layout. 3 cabins are placed inside the yacht Pinot Gris. 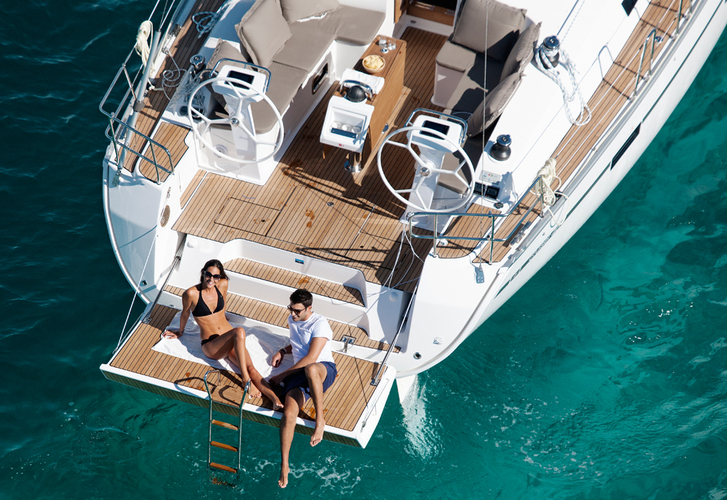 Use the search engine for search for different boats right here: Yacht charter Ionian Sea. Guests can feel good on this yacht , because there are 3 bathrooms for their disposal. With 210.00 l liters in diesel tank you can sail really far and still be independent because of 580.00 l liters in tank for water. Pinot Gris is driven by engine 55 hp. Vessel's dimensions are: lenght overall - 13.99 m , width - 4.19 m and 1.70 m of depth. On the vessel you can make use of following equipment: Autopilot, Gps, Gps plotter, Anchor electric windlass, Dinghy, Bimini top, Furling mainsail, Bed linen, Towels, Radio / cd player, Bow thruster. . Caution accounts for 2900.00 EUR. In our search machine you can effortlessly check avalailability of yacht Pinot Gris from Corfu over here: Yacht charter Greece.